​Anne Fraser Keating specializes in senior-level executive search assignments, with particular recruiting expertise in the financial services and consumer products sectors. She is the Founder of Fraser Keating Associates, LLC. An executive recruiter since 1986, Anne has directed more than 450 engagements for clients in financial services and consumer products. Specifically, she has completed key searches for CEOs, Presidents, Chief Investment Officers, Chief Marketing Officers, CFOs, Chief Human Resources Officers, as well as portfolio managers and institutional sales professionals. Prior to forming Fraser Keating Associates, Anne was Managing Partner of a small boutique executive search firm. Anne was previously a Senior Partner at Korn/Ferry International for 17 years from 1993 to 2010. Earlier in her career she was a Senior Associate at two boutique executive search firms. Before entering the executive search profession, Anne held various commercial banking positions at Brown Brothers Harriman & Co., including Corporate Lending Officer serving major Fortune-ranked companies. Anne began her career as Assistant Director of Undergraduate Admissions and Director of Transfer Admissions at Yale University. Anne graduated from Yale University with a BA degree in philosophy and received an MBA in marketing from The Wharton School, University of Pennsylvania. An accomplished three sport athlete at Yale, Anne earned nine varsity letters in field hockey, basketball and lacrosse. She was a member of the U.S. Field Hockey Team and Olympic Training Squad, and the U.S. Lacrosse Team. She served on the Board of the U.S. Lacrosse Foundation from 1999 to 2008. She was also a Trustee and member of the Executive Committee of Helen Keller International from 1999 to 2009. Additionally, Anne is a founding member of Yale’s W.I.S.E.R. Foundation, and an advisor to PowerPlay, Inc. Anne is a 2007 recipient of Yale’s George H. W. Bush Lifetime of Leadership Award. She is on the Council and Secretary of the Yale Club of New York City. ​Reto Jauch is Founding Partner of Jauch Associates. He conducts senior-level search assignments and advises business leaders on organization design and development in publicly traded and privately held organizations in the financial services, branded goods and professional services sectors. The firm operates with offices in in Zurich and London. Reto has 20 years of strategic consulting experience and was Managing Director of A.T. Kearney Executive Search (ATKES) Europe. Prior to assuming this leadership role at ATKES, he was responsible for the firm’s Swiss Market, having started and developed a Search Practice for the firm in Zurich and Geneva. 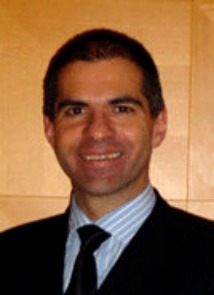 Reto originally started his consulting career at Robertson Associates AG, a Zurich based European Search Boutique. PED at IMD Lausanne, Switzerland. ​More information regarding Jauch Associates AG may be found here. ​Patricia Nevins is a Senior Recruiter with Fraser Keating Associates. Patricia has over 20 years of executive search experience, principally in the financial services, real estate and not-for-profit sectors. Patricia started her business career at Chase Bank before moving to executive search. She spent seven years at the executive search affiliate of a Big 8 accounting firm (Arthur Young), where her focus was on recruiting C-level officers for Fortune 500 companies. At Arthur Young, she was involved in the start-up of a Board practice, as well as researching and editing a publication: The Chief Executive: Background and Attitude Profiles. She also previously worked with Rhodes Associates for eleven years, where her concentration was on domestic and international real estate finance recruiting. Earlier in her career, Patricia worked in the not-for-profit sector, initially as a social worker, then corporate training specialist, and corporate fundraiser for United Way. She also was a marketing manager for a world renowned institute for autistic children. Patricia received her BA in Psychology from New York University as well as a Master’s of Social Work. She has an MBA from the Lubin School of Business at Pace University, partially funded by a Carnegie Mellon grant. ​David Keating is a Recruiter with Fraser Keating Associates. David has over two decades of experience interviewing executives and conducting research in the financial services and legal sectors. His professional services career began with Greenwich Associates, a leading financial market research and consulting firm. For the past seven years, David has worked as an Executive Interviewer with their hedge fund team, interviewing senior investment managers and traders on broker-dealer performance, market trends, and compensation. David has twelve years of experience as a paralegal, most recently with the Law Office of Amy Sirignano, PC, and previously with the Public Service Company of New Mexico (PNM). Also at PNM, David supported the Vice President of Human Resources on special projects from 2007 to 2010. Earlier in his career, David worked at American Custom Maps as Marketing and Production Director and at MacWarehouse as Marketing Director. David is a mixed-media artist whose work has been exhibited at the George Eastman House International Museum of Photography and Film and the Smithsonian. In 1994 he was honored with a National Endowment for the Arts Fellowship in photography. David graduated from Yale University with a BA in philosophy and received an MA and MFA in studio art from the University of New Mexico.